Stephen King, HSBC Bank Group Chief economist sees accelerating growth in China in 2013, benefiting its biggest trading partners, as uncertainties persist in the US and Europe. King has heralded the coming of a new world led by China, leaving behind erstwhile dominating players like the Europe, the US and Japan. In his latest report Global Economics Quarterly – “The Great Rotation”, King cites how stronger exposure to China has spurred growth in many countries. He also dwelt on how China itself has grown in a spectacular fashion over the course of the last decade and has seen the biggest growth in GDP over the last decade, the biggest since the end of the Second World War. King singled out Africa as one of the striking examples of the China effect. Angola, for instance, is now a more important trade partner for China than the UK and France. “China’s impact on the rest of the world in recent years has been revolutionary. “No longer is it possible to understand the behavior of the global economy without acknowledging the gravitational pull of China,” he says in his report. “Even if the Chinese economy is slowing, its impact on the global economy is paradoxically rising,” he observed. 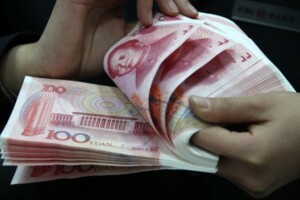 He expected China’s GDP to grow at 8.6 per cent in 2013, which is a slowdown from it’s golden double digit growth.